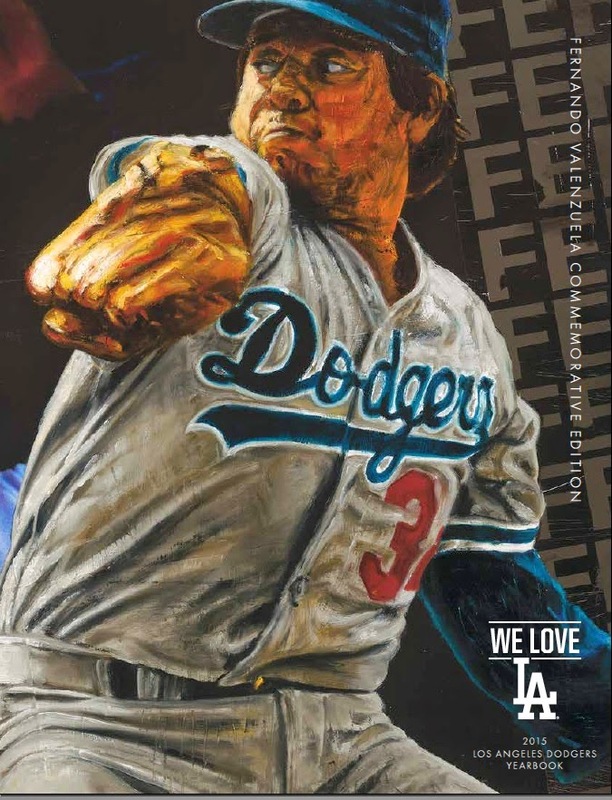 The Dodgers 2015 Yearbook will feature Fernando Valenzuela on the cover and includes a 21-page exposé entirely devoted to his life and career. This coming season marks the 34th anniversary of his first full year in MLB in 1981 (he also happened to wear the #34 throughout his Dodger career) that saw the birth of Baseball's greatest sensation; "Fernandomania." You can go here to order. Gary Joseph Cieradkowski at the Infinite Baseball Card set tells us all about former Brooklyn Dodger Johnny Frederick. He also shares an artistic card creation he made of him. This is a great read. Top prospect Julio Urias struggled in his outing yesterday. Via Ken Gurnick at MLB.com, "Urias plans to learn from difficult outing." "It might be a bad outing on paper, but I take it as a good day because I can work on what failed today," Urias said. I can't believe I missed this. Via Jill Painter Lopez at FoxSports, "Vin Scully back for 66th year broadcasting Dodgers." "I actually started some preparation in early February," Scully said. "I've kind of skimmed the cream off the top of five teams. I've done the Dodgers. I prepared for San Diego because they're Opening Day. "I prepared for San Francisco. I prepared for Seattle because they're early in the season. I prepared for the Angels because we'll have three exhibition games with them. It never stops. I could pick up a newspaper, read something, cut it out, put it in a folder and later transfer it to the book about that team. I just accumulate all year long. In February, I really start to work a little bit." Welcome to the Blue, Will Ferrell!